On the afternoon on 12th November, Ministry of Foreign Affairs of the People's Republic of China and People's Government of Heilongjiang Province will hold global marketing activity on the theme “A new era of China: Heilongjiang’s Rejuvenation of new roads to the world” in the Lanting of the Ministry of Foreign Affairs of the People's Republic. 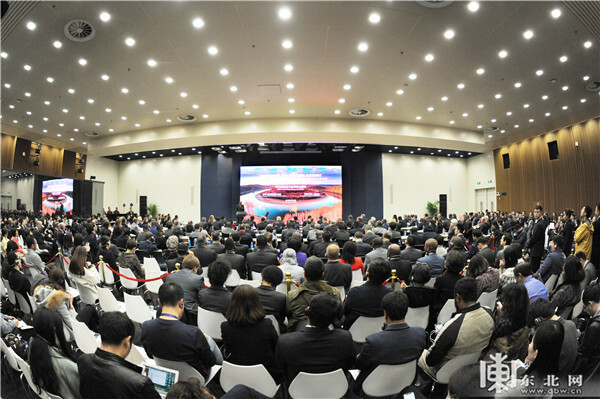 In the global spotlight, Heilongjiang’s passion for dialogue with the world and global exchanges expresses a strong desire to integrate global development, participate in global development, and share global development. 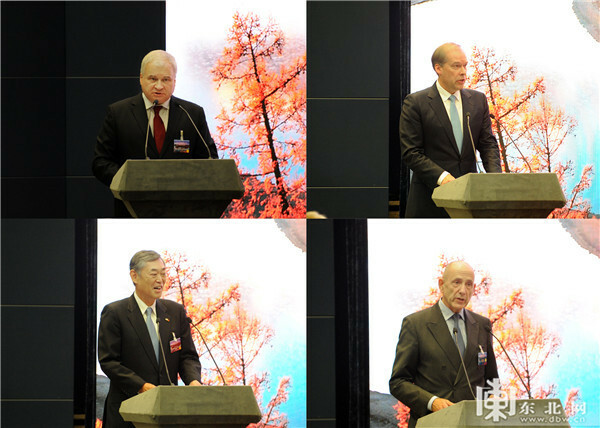 Foreign Minister and State Councilor Wang Yi delivered a speech. Secretary of a provincial Party Committee and director of standing committee of provincial people's congress Zhang Qingwei also delivered a speech. Deputy Secretary of CPC Provincial Committee and Governor Wang Wentao made the introduction. 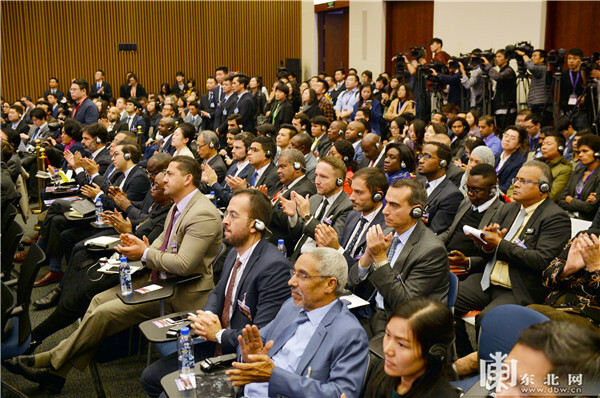 There were 120 national foreign diplomats, commercial counselors; representatives of international organization and part of Global 500 enterprises, and 500 famous head of a multinational corporation and Chinese and foreign media reporters were present. Wang Yi said that Heilongjiang has a unique advantage in China's new round of opening-up. Heilongjiang is China's northeast gateway, which helps Heilongjiang to actively participate in the construction of the "China-Mongolia-Russia Economic Corridor" and build itself into an important hub for economic and trade cooperation in Northeast Asia. At the same time, Heilongjiang will also participate in the construction of the “One Belt One Road” with a broader vision. It will connect Eurasia through the opening of China-European trains and other measures to strengthen mutually beneficial cooperation with countries along the route. It is hoped that all countries will seize the new opportunities for China to deepen reform and opening up, work hand in hand with China, and join hands with Heilongjiang to create a bright future of mutual benefit and win-win cooperation. Zhang Qingwei expressed his heartfelt gratitude to the Ministry of Foreign Affairs for hosting this global promotion event. He warmly welcomed the envoys, guests and friends from all walks of life attending the event. 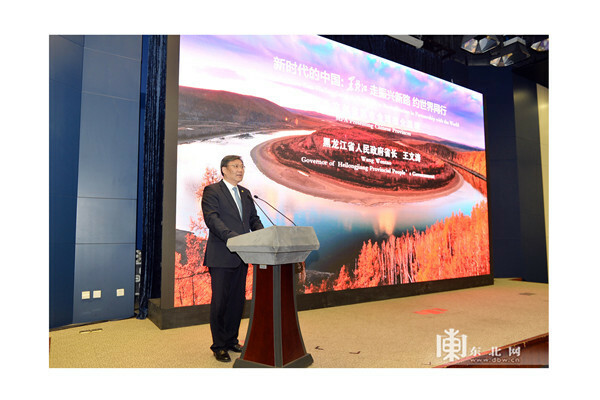 He said that Heilongjiang is located in the world-recognized grain and fluffy gold industry belt. The development of high-quality agricultural and animal products processing industry, has unique advantages in raw materials and ecology. He hoped that more high-quality green organic food will go to the world table and into global kitchens. Heilongjiang is known as China’s "Ice and snow crown". With the arrival of the Beijing Winter Olympics in 2022, we will make every effort to build the core zone of "300 million people on the ice and snow" and develop the market space of ice and snow tourism, ice and snow sports, ice and snow equipment, industry market space is huge .He said that General Secretary Xi Jinping visited the three northeastern provinces in September this year and delivered an important speeches, which further pointed out the direction for Heilongjiang to take the new road and revitalize the glory. We will unswervingly keep in mind the important requirements of General Secretary Xi Jinping, fully promote the revitalization of Northeast China and the major national strategic docking, and strive to create a new engine of innovation and development, accelerate the construction of a new open economic system, and strive to build a legal business environment, focusing on building China to the north. The important window of opening is deeply integrated into the “One Belt and One Road”, and on the basis of consolidating and enhancing the pragmatic cooperation with Northeast Asia, it will expand the opening up to the outside world and promote the formation of a new pattern of opening up to the outside world. We are willing to share the opportunity of revitalization with friends all over the world. We sincerely welcome overseas capital and foreign companies to invest in Heilongjiang to create a better tomorrow for mutual benefit and win-win cooperation. 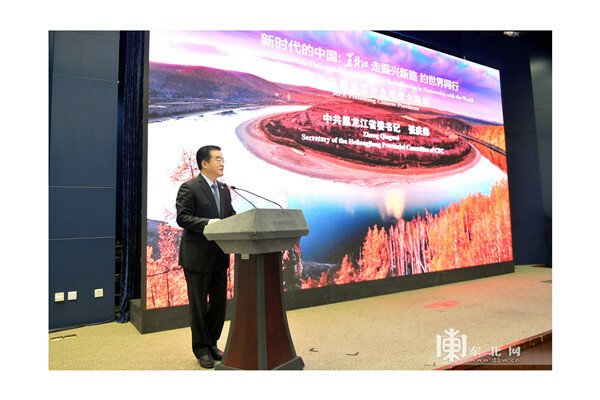 In his introduction, Wang Wentao pointed out that Heilongjiang has the potential to develop tourism and has abundant original ecological resources. It is focusing on building high-level tourist routes. Heilongjiang has the potential to develop modern agriculture, and we are confident that more high-quality Heilongjiang food will be loaded into the “Chinese rice bowl”. "We are building China's grain and green organic food production base; Heilongjiang has the potential to develop equipment manufacturing industry, relying on a good industrial foundation, is building a base for industrial transformation and upgrading, accelerating the transformation of scientific research achievements, promoting the development of industries such as military and civilian integration; The industry has potential, and with its solid science and education strength, it is becoming the preferred place to develop emerging industries; Heilongjiang has the potential to develop international cooperation and is vigorously building a new pattern of opening-up to the outside world. We will combine market demand with Heilongjiang's own potential and advantages, and seek international cooperation in the fields of modern agriculture and animal husbandry and organic food, energy and chemical industry and mining development, high-end equipment manufacturing, and tourism, leisure and recreation, seeking common development. Russian Ambassador to China-Denisov, Finnish Ambassador to China-Su Haiyan, Japanese Ambassador to China-Yokoi Yu, and Dutch Ambassador to-China Gao Wenbo delivered speeches, introducing the exchanges and cooperation between their respective countries and Heilongjiang, fully affirming the geographical advantages of Heilongjiang and The economic development potential, expressing that they will actively promote their integration with Heilongjiang. Strengthen friendly exchanges with Heilongjiang and expand mutually beneficial cooperation.